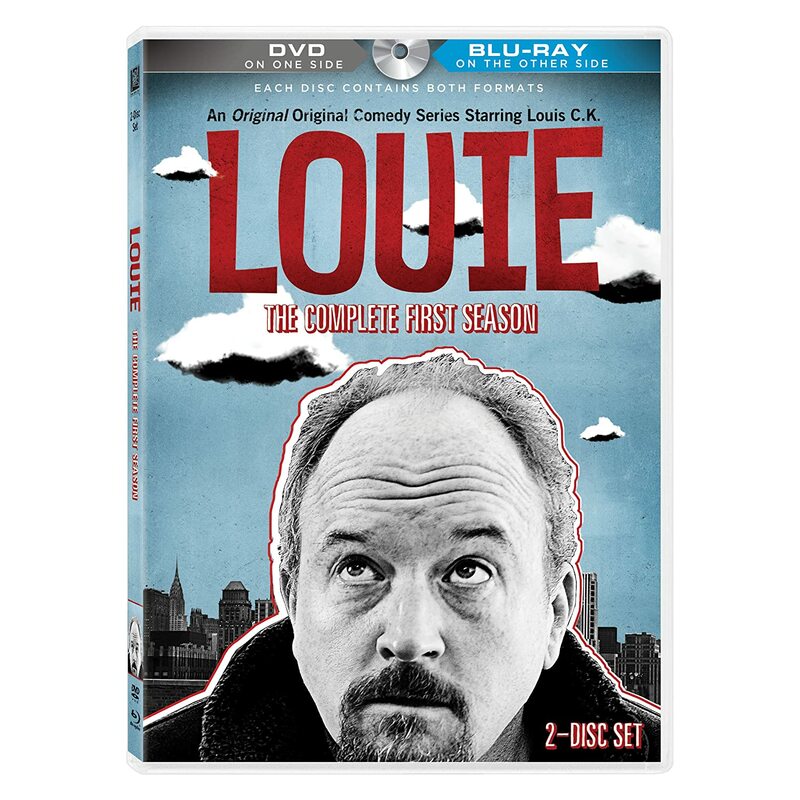 (S0303) While I've always appreciated its audacity, Louie is a show that I often find myself struggling to enjoy. I like "cringe humor" as much as the next guy, but I tend to draw the line at "verge of suicide humor." And as funny as Louie can be, more often than not I worry that the episode is going to end like this. To its credit, "Miami" never made me concerned for Louie's mental well-being. The episode was light, breezy and fun -- like a Florida vacation. More than that, Louie succeeds in taking a 15-second snippet of throwaway stand-up material and blowing it up into a piece of brilliant commentary about the nature of male friendships. In "Miami" Louie (Louis C.K.) travels to the Sunshine State for a couple of stand-up gigs. Between shows he hits the beach, where a misunderstanding leads to a chance encounter with a lifeguard named Ramon (Miguel Gomez). This man-on-man meet-cute sparks a whirlwind bromance: tandem bicycling, fruity tropical drinks in coconut shells, rooster chasing, shadow boxing... you know, the typical "guy stuff." Louie is so smitten with his new friend that he calls his ex-wife to let her know that he'll be staying in Miami for a couple of extra days to hang out with Ramon. She astutely deduces that Louie met someone, but mistakenly assumes that someone is a woman and not a studly Cuban-American lifeguard. The larger point of "Miami" hinges on a scene late in the episode where Louie and Ramon are forced to put their cards on the table but struggle to find the words to express how they feel. "Heterosexual men have a big burden that we put on ourselves, which is we want to be identified as heterosexual men," Louie says during a stand-up set. "It's a drag for us because there are a lot of things we maybe could do that might be nice. But we can't because someone will think we're gay." It's obvious to both Louie and Ramon that they share a bond, but they are uncomfortable with what that bond might mean. In this hypersexualized culture where masculinity is something to be protected at all cost, is it possible to have a genuine human connection without a romantic element? Can straight guys tell their friends they love them? Why did we start calling a close friendship between two dudes a "bromance"? Louie broaches these complicated subjects subtly and gently. The viewer ponders these questions without Louie having to come right out an ask them. It's truly an impressive feat for a sitcom. But love it or hate it, Louie is no run of the mill sitcom. Lucas High is a man on a mission. That mission: to watch television for a living. Drop him a line at lhigh2@gmail.com, on Facebook and on Twitter at twitter.com/LucasHigh. The episode Miami was a nice reprieve from the fast paced New York setting. I’ve been on business trips for Dish quite a few times and Louie has captured the vibe you get in new cities perfectly. The closing standup act was hilarious. It’s amazing how Louis can take an awkward situation and create such an astute observation about it. I have been watching it with the Dish Remote Access app because I think it helps seeing it twice. There is a lot of deep stuff buried in each episode.